Since time immemorial, gold has been a popular investment. Gold is often described as a very safe investment, but the gold market is subject to volatility just as any other market. From a risk management perspective, it is therefore not advisable to let gold be your only investment. In a well balanced investment portfolio, gold can be an excellent investment and it can be a great tool for hedging, considering its historic record of being a comparatively safe haven in times of widespread economic distress. Since 1919, the London gold fixing has been the most commonly used benchmark for the gold price. This price is set twice a day by a group of representatives from five bullion-trading firms on the London bullion market. Today, actually owning physical gold is not the only way to make a profit from changing gold prices. Gold futures contracts and other derivatives exist and are traded both on exchanges and over-the-counter. This table shows the LBMA Gold Fixings yearly close, in USD/troy ounce and rounded to the nearest $ for comparison purposes. The table also show the Dow Jones Industrial Average (DJIA), the Gross World Product (GDP) and the Trade Weighted US dollar Index. Gold forwards, gold futures contracts, gold options and gold CFDs are all examples of gold derivatives. 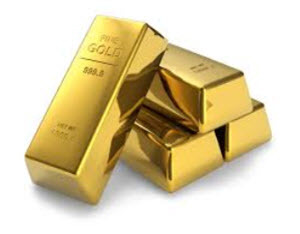 A gold derivative’s market value depends on the market value of gold. A derivative is a contract between two or more parties. Derivative contracts are often sold by the original holder soon after being created and are then traded (exchange-traded or over-the-counter traded) until they expire. Gold derivatives are used for speculating ad hedging purposes. Speculators seek to profit from changes in the gold price, while the hedger use the gold derivative to manage risk. Examples of exchanges where gold derivatives (especially gold futures contracts) are traded are the New York Commodity Exchange (COMEX) in the United States and the Multi Commodity Exchange (MCX) in India. Examples of fairly recent additions to the world of gold investing and speculation are gold-focused exchange-traded funds (ETFs), exchange-traded notes (ETNs) and exchange-traded closed-end funds (CEFs). When Gold Bullion Securities (ticker symbol GOLD) was launched on the Australian Stock Exchange in March 2003, it was the world’s first gold ETF. Since then, investor interest in gold ETFs has been huge. By late 2010, the exchange-traded fund SPDR Gold Shares had grown to become the second-largest ETF in the world by market capitalization. Gold certificates have a comparatively long history and the first paper bank notes issued was actually gold certificates. As early as the 1600s, goldsmiths in England and the Netherlands would allow third parties to store gold in the goldsmith’s vault for safe-keeping. The goldsmith would issue a certificate to the owner of the gold, as proof of the amount of gold being stored in the goldsmith’s vault. In the 1800s, the US Treasury began issuing certificates that could be exchanged for gold. The use of gold certificates was authorized by the US Government in 1863. Gold certificates was used as a form of payment until the US Government restricted private gold ownership in the country in 1933 (as a reaction to the Great Depression). This restriction wasn’t reversed until 1975. 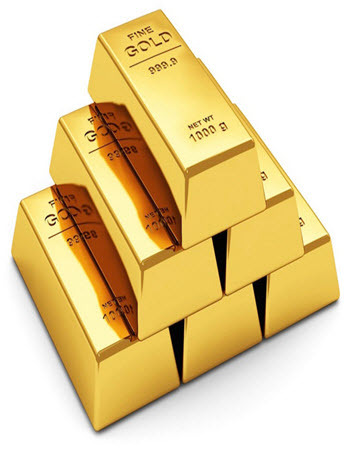 Today, gold certificates are used by banks and various gold pool programs. Examples of countries where it is common for banks to issue gold certificates are Germany and Switzerland. A bank can issue gold certificates for gold that is allocated (fully reserved) or unallocated (pooled). 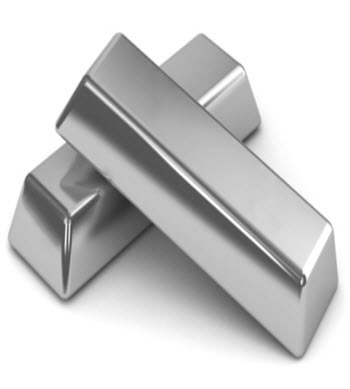 Allocated gold certificates are correlated with specific identified bars, while unallocated gold certificates is a type of fractional reserve banking. Having a gold certificate and leaving the physical gold in the bank means that the investor doesn’t have to worry about risks and costs associated with assaying and maintaining the gold. On the other hand, there are risks and costs associated with the certificate, such as commission, storage fees and credit risks. There are many different gold accounts available and it is important to do your research before you make any financial decision. 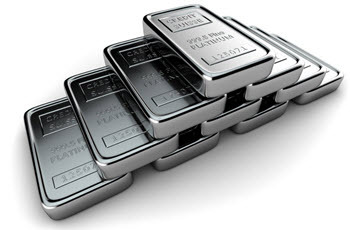 In many cases, a bullion bank will not be interested in holding less than 1,000 ounces of gold for you. Some providers of professionally vaulted gold are however targeting retail investors and will actually keep gold in denominations as low as one gram for you. Before making any decision regarding this, you always want to know everything about the intermediation between you and the gold. For instance, is the gold held on an allocated (fully reserved) or unallocated (pooled) basis? How strong is your legal right to claim the gold? What happens if the account administrator faces bankruptcy or asset forfeiture – will the gold be used to pay off their debts to creditors or is the gold actually yours? Can you create a bailment on allocated (non-fungible) gold? 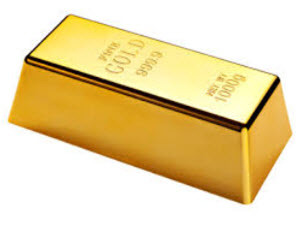 Does the gold appear on the balance sheet of the administrator or is the administrator merely a custodian of the gold? How easy is it for you to use your account to buy and sell gold ? Is there an internal market place available? Gold Exchange-traded products (ETPs) will allow you to gain exposure to the gold price without having to store physical gold. ETPs carry risk beyond those associated with owning the gold outright. The ETP (GLD) has for instance been compared to the infamous mortgage-backed securities due to how it is structured. Gold Exchange-Traded Funds (Gold ETFs) are a type of ETP. An alternative way of profiting from increased gold demand is to invest in gold mining companies. Instead of buying gold, you buy shares. Or you can purchase derivatives where the underlying asset is shares in gold mining companies. It is important to take into account that an increase in gold price doesn’t necessarily translate into increased profits and higher shares prices for a gold mining company. There are a lot of factors that can impact the bottom line of a mining company, such as wages, political instability in the mining area, taxes and fees, natural disasters, mismanagement, theft, corruption, and various transaction costs. Also, increased profits doesn’t always translate into the expected share price increase, e.g. because of investor hesitance regarding the mining company’s ability to sustain profits. The reduce volatility, some gold mining companies hedge the gold price over a year in advance. This gives the company less exposure to short-term gold price fluctuations – for better and for worse.